Situated on the banks of the winding Tennessee River and surrounded by lakes and mountains, Chattanooga, Tennessee, may be small in size but it does not lack in charm. 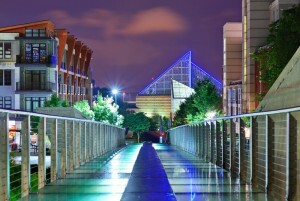 Nationally recognized for transforming its waterfront, focusing on sustainability, and inspiring an urban renaissance, Chattanooga has it all: a family-friendly atmosphere, affordable housing, miles of greenways and hiking trails, and a unique selection of local dining, shopping, and entertainment. Visitors and residents alike enjoy attractions such as the Bluff View Art District, shopping and dining in the eclectic North Shore neighborhood, and visiting the Tennessee Aquarium and historical Lookout Mountain. Whether you enjoy the thrill of hang gliding or a quiet stroll across the Walnut Street Bridge, Chattanooga offers something for everyone. Joining the Tennessee Rand team is like joining a big family. We are a loyal group – we support one another and are dedicated to the success of our business. While we work hard to ensure total customer satisfaction and build products that exceed our customers’ expectations, we also maintain a family-oriented environment with a bowling league, cookouts, and a gift drive for local families in need. We challenge ourselves and our employees to continuously innovate and improve what is important to our customers. We are proud of our quality of services to our customers, our customer-centric motivation, and our talented and dedicated workforce in which we provide opportunities for each team member to grow. Tennessee Rand is committed to helping our employees reach their full potential by providing a safe and enjoyable work environment and investing in on-the-job and offsite training. We foster a healthy balance of individual effort and teamwork, and we provide competitive pay and benefits packages for our employees. Is there room to grow within the company? Yes, we develop career paths for our employees so they know what it takes to get to the next level in their career. What is the environment like here? Tennessee Rand is a very family-oriented company. We have many activities that we participate in together, such as a bowling league, a company cookout during the Riverbend Music Festival, and a Christmas dinner. What if I want to go back to school? We offer a tuition reimbursement plan for our employees. Depending on the position and the approval of management, we aim to be as flexible as possible with those who choose to continue their education while remaining employees of Tennessee Rand. We accept online applications for open positions at: Chattanoogahasjobs.com or lincolnelectric.com. May I apply to more than one position at a time? Yes, you may apply to any open position at Tennessee Rand. What are the steps of a typical Tennessee Rand recruitment process? Pre-screens are conducted with qualified candidates and submitted to the hiring manager. The hiring manager determines the candidates who are scheduled for a formal interview. Once all of the interviews are conducted, the hiring manager determines the best candidate and a job offer is made contingent upon a background check, pre-screen physical, and drug screen. Candidates who are not selected are sent an email notification. How long does it normally take to be contacted after I apply? You should receive a notification within 2-3 weeks after you submit your application for the position. Business casual – as in khakis and a tucked in collared shirt – is acceptable. Yes. A background check, hair follicle drug test, and a physical are required, but only if a job offer is extended. Do I have to apply online or can I just submit my resume? You must complete an online application at lincolnelectric.com or chattanoogahasjobs.com.